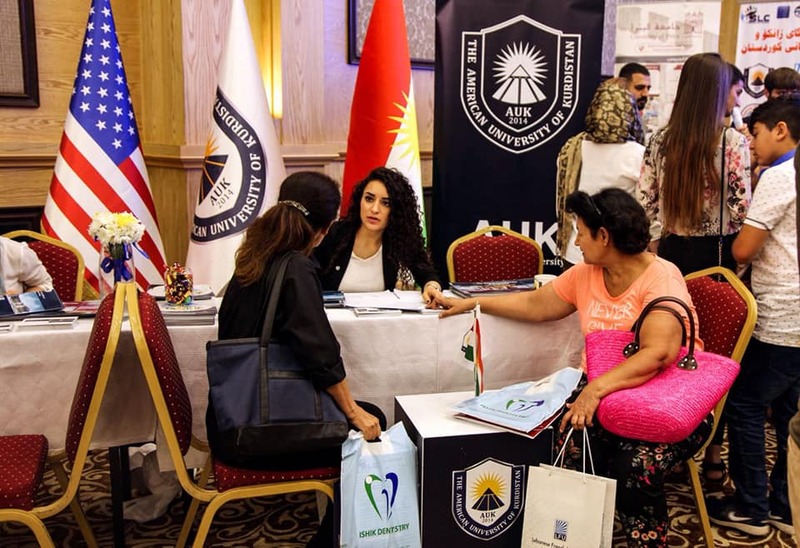 Duhok, Kurdistan Region of Iraq – July 29, 2018 – The American University of Kurdistan participated in the educational fair held by Scientific Level Company in 3 different cities of Kurdistan. The 3 days’ fair throughout the week took place in Slemani on July 22nd, Erbil on July 24th and Duhok on July 26th. “Prospective students from surrounding cities were able to meet our representatives of the Admissions and Registration department learning more about AUK programs directly.” said Bina Qeredaxi, Communications Manager of AUK “Parents and students showed interest in this American educational institution based in the multilingual and multicultural city of Duhok, which is known to be the capital of peace and co-existence in the country, making it the most recommended environment for students to study in” she added. The Fair was open to anyone interested in finding out more about the wealth of opportunities available for studying in universities in the Kurdistan region and abroad. AUK presented all its five colleges with their 14 departments to the prospective students. “It has been a success! Thousands of students participated in this fair and we are planning on having another fair for round two students in Autumn.” said Aram M. Ahmed, General manager of Scientific Level Company. The Fair brought together more than 20 exhibitors (higher-education institutions and national agencies) from across the Kurdistan Region of Iraq to promote their education systems and studying opportunities in the region and abroad.